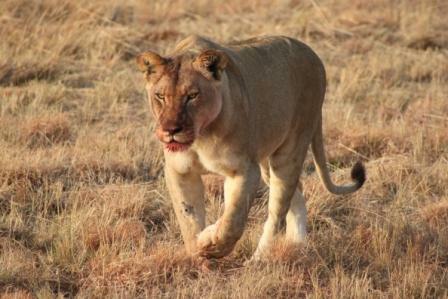 September 1st will mark the one year anniversary of the release of the Ngamo Pride into a semi-wild environment at Antelope Park as part of Stage 2 of ALERT’s African Lion Rehabilitation and Release into the Wild program. In that first year pride members have established a stable social structure and have shown themselves to be skilled hunters capable of bringing down a variety of wild prey species in numbers on par with wild lions. 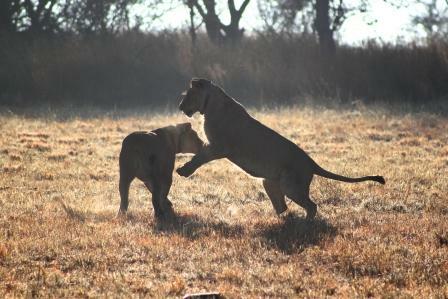 Milo, the dominant (and only) male pride member, has mated with several of the pride’s lionesses, but of the successful pregnancies that have produced litters only one lion cub (the adorable AT1) has thus far survived and been formally accepted into the pride; a not uncommon occurence, sadly. Cub mortality rates in a wild situation are very high with studies suggesting between 50–67 percent-plus of cubs fail to thrive. The highest level of mortality is with first time mothers. 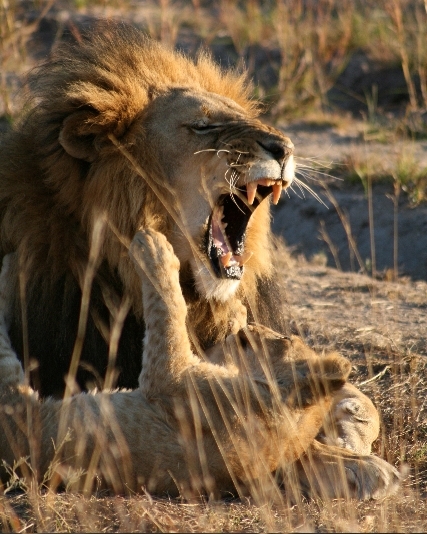 [A] study of lions in Botswana that provides evidence that survival rates for cubs with first time mothers is as low as 26 percent, most dying after their initial exit from the den and before their first birthday. A first time mother’s “shotgun” approach to motherhood does produce a number of surviving cubs but it is the more careful older females that seem to reduce initial mortality to the emphasis of survival. 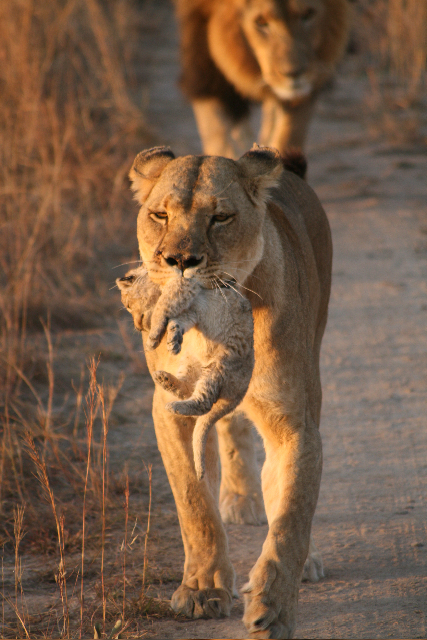 […] The causes of cub mortality are not often known. 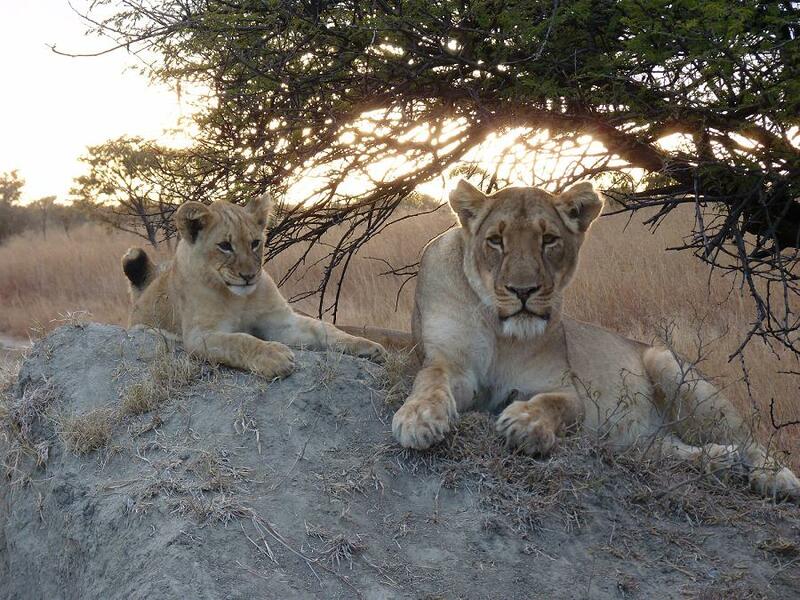 A study of lions in the Serengeti suggested 25 percent of cubs were taken by predators, 28 percent starved and 47 percent died of unknown reason, many having simply disappeared. 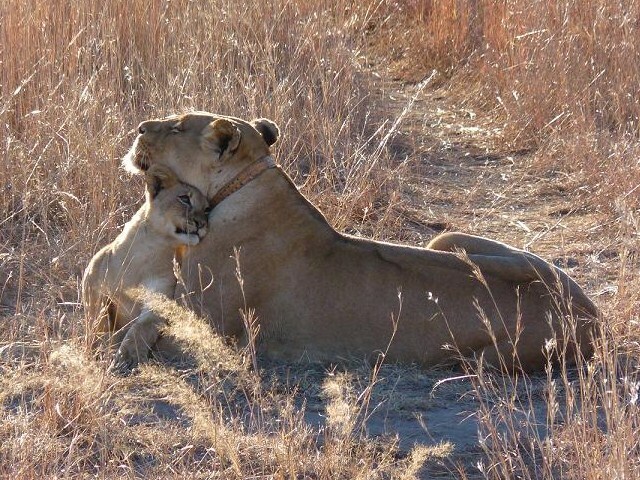 Milo remains a determined lover, however (as well as a very affectionate father to AT1), and with one or more female members of the pride seemingly in estrus at any given time, it is only a matter of time before more cubs are born, survive, and grow up as accepted members of the Ngamo Pride. 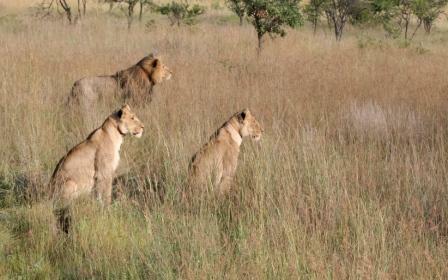 So on the eve of the pride’s first birthday, we would like to introduce them to you! Milo: All hail the king! Ashanti: Ngamo’s alpha female. Sister to Athena. Athena: Sister to Ashanti. Mother to AT1 (pictured). Phyre: A favored lioness of one Mr. David Youldon. AT1: Daughter of Milo and Athena. If you’d like to know how it all started with the Ngamo Pride, watch this episode of Lion Country to relive their release. You can follow the adventures of the Ngamo Pride on their own blog.